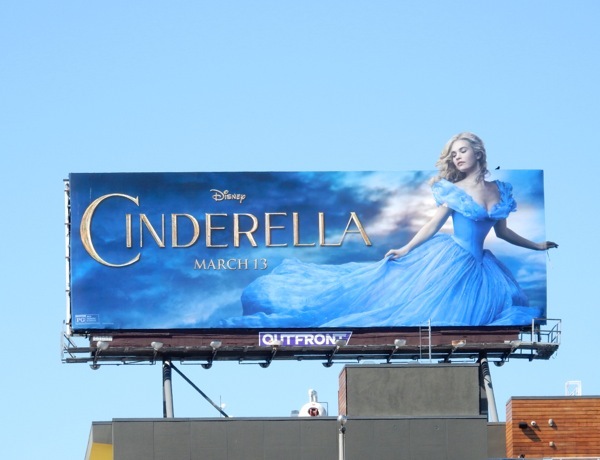 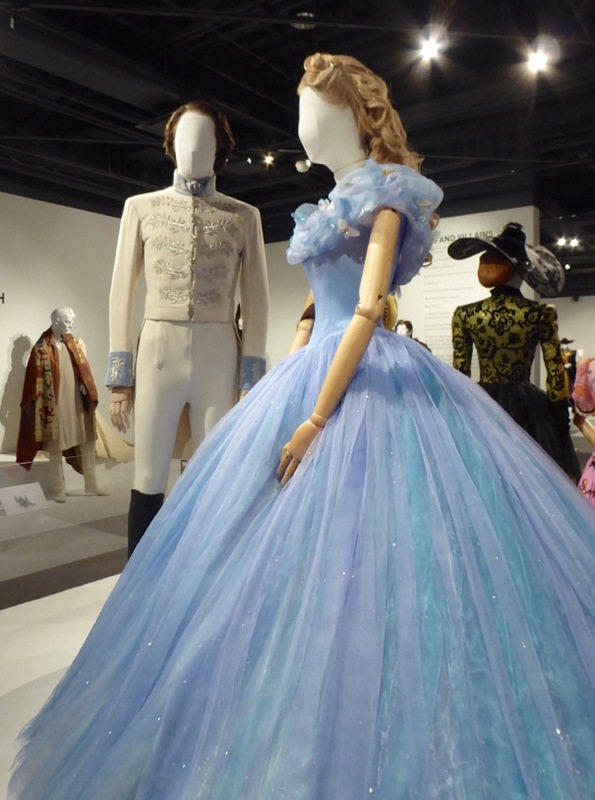 Anyone who has seen Disney's live-action version of the Cinderella fairytale will understand why the costumes designed by Sandy Powell have been nominated for an Oscar this year, especially when you see Lily James gliding across the dance floor with Richard Madden in her magical ball gown. 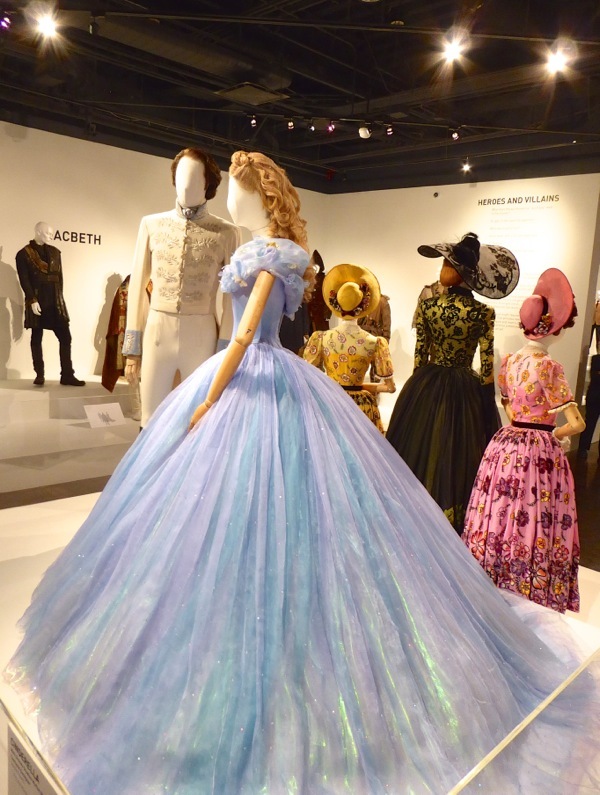 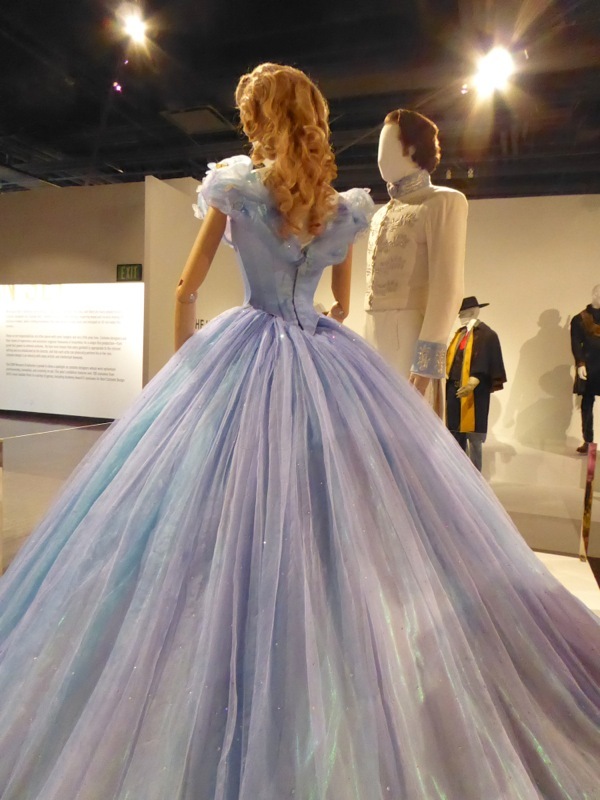 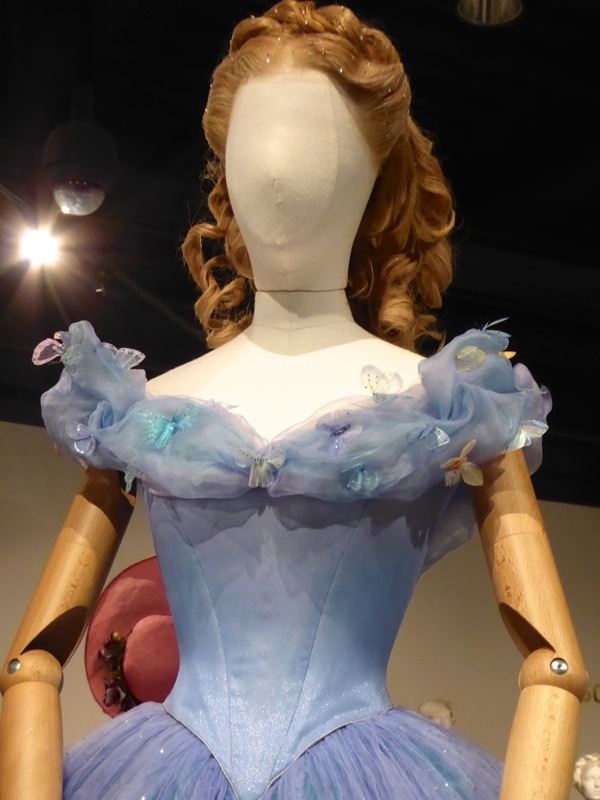 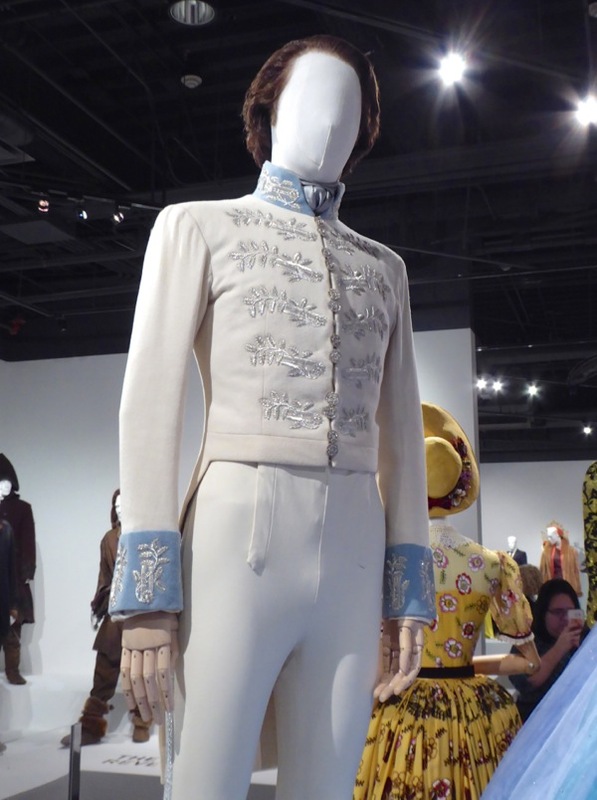 These Oscar-nominated costumes inspired by the classic fairytale were photographed on display at the FIDM Museum in Downtown L.A. on February 12, 2016 (where they will be until April 30, 2016). 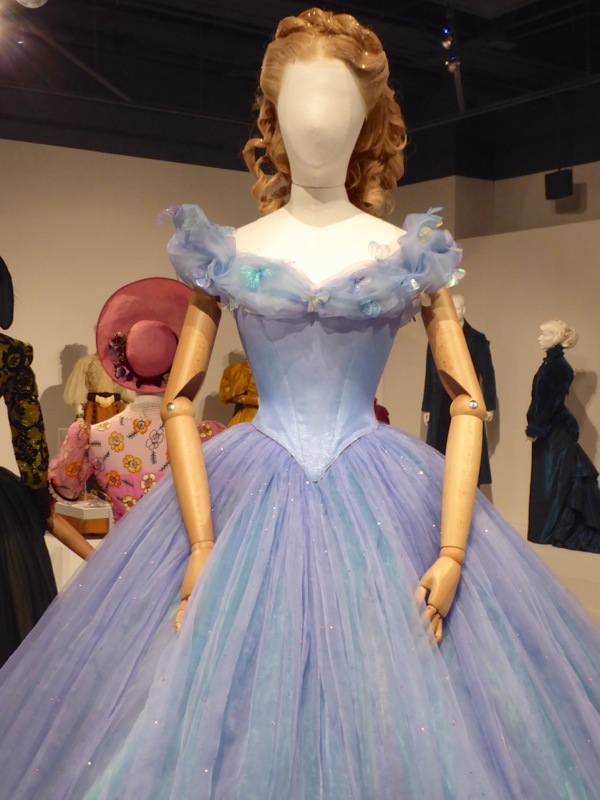 Already the recipient of three Academy Awards, Sandy Powell is also nominated this year for her film costumes on Carol, so she has double the chance of winning. 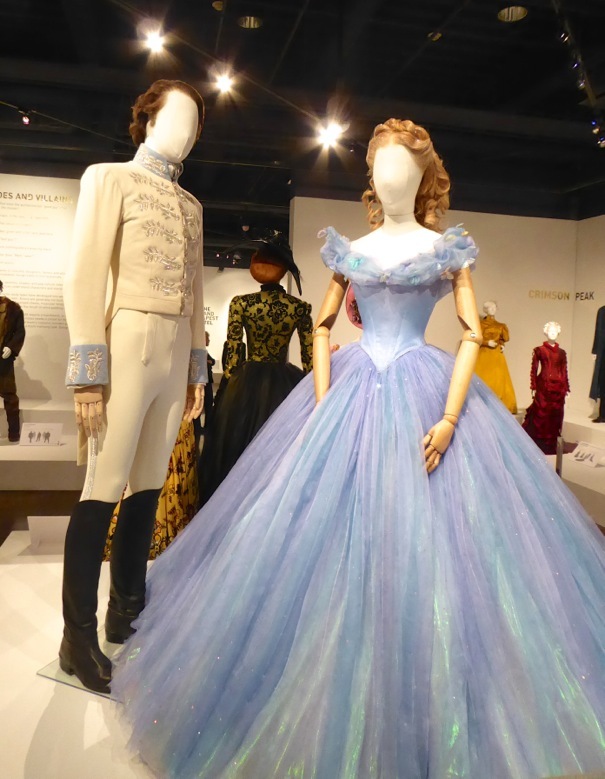 If you like these amazing creations, be sure to check out more magical costumes from the live-action Cinderella movie, including more outfits worn by Lily James, Richard Madden, Cate Blanchett, Helena Bonham Carter and more. 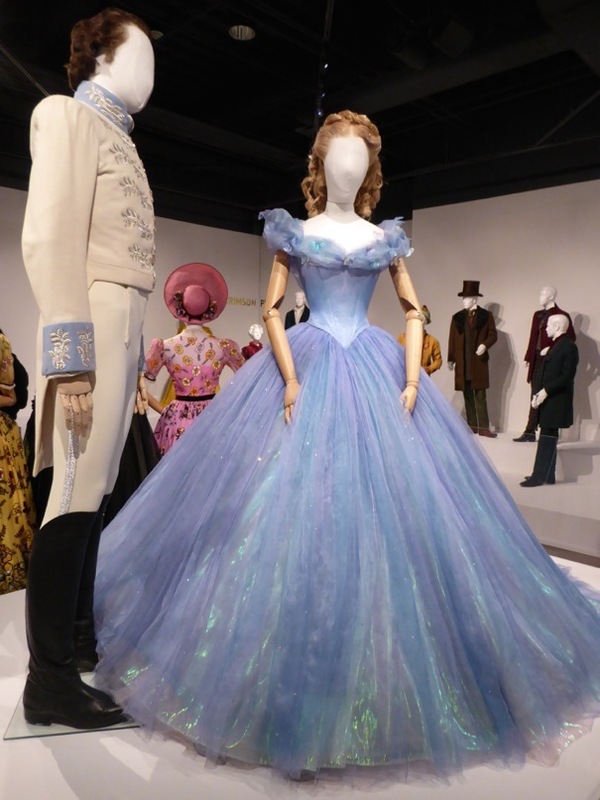 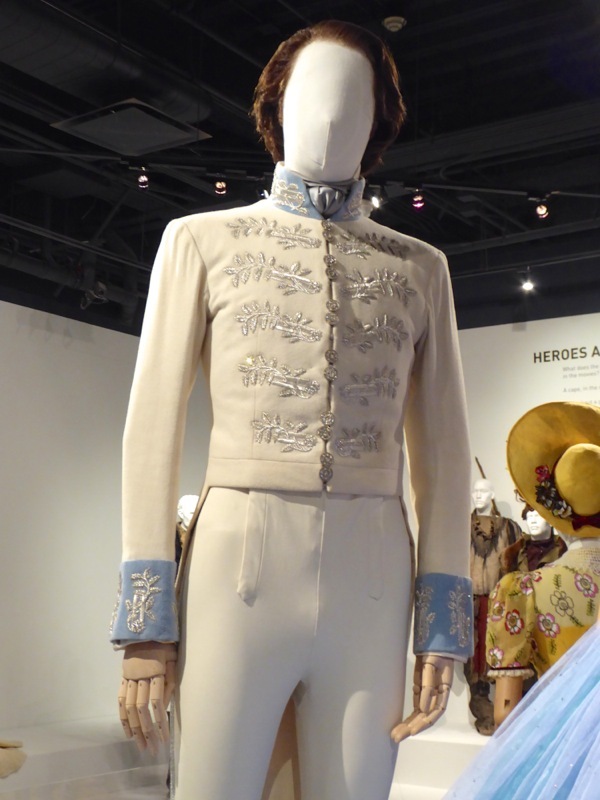 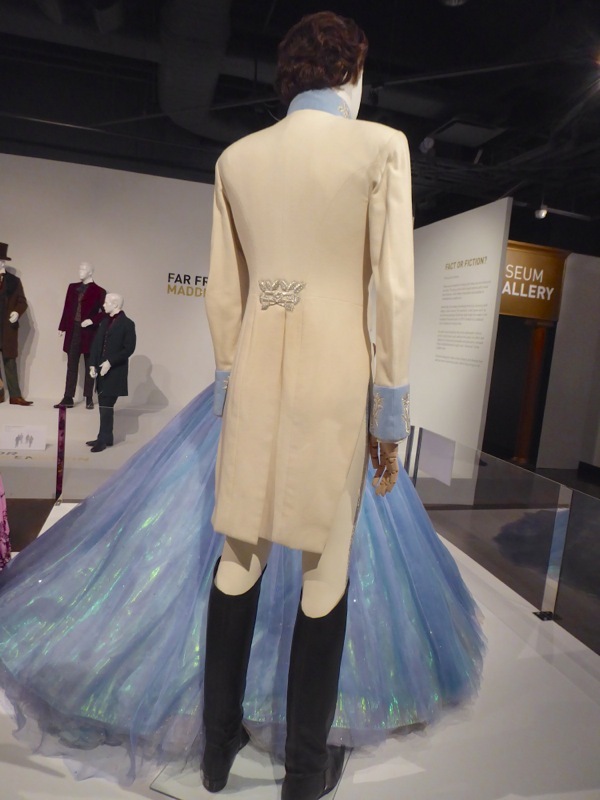 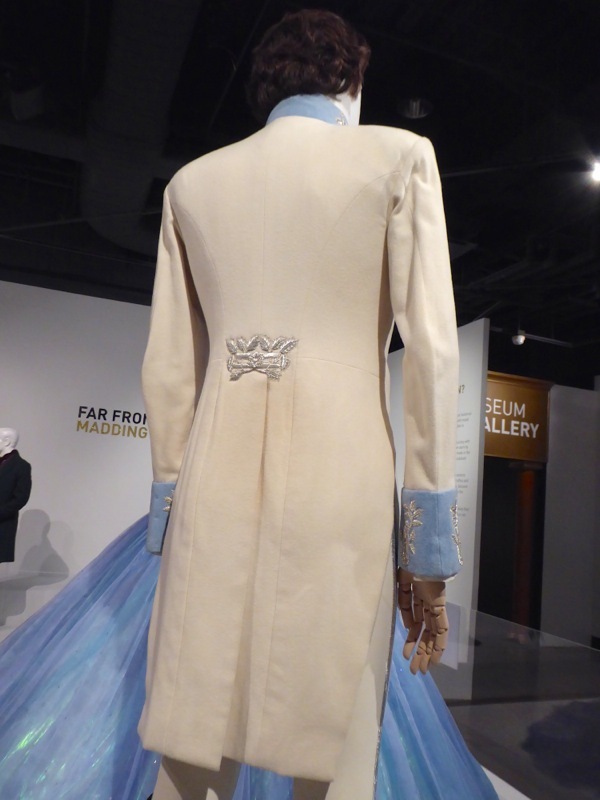 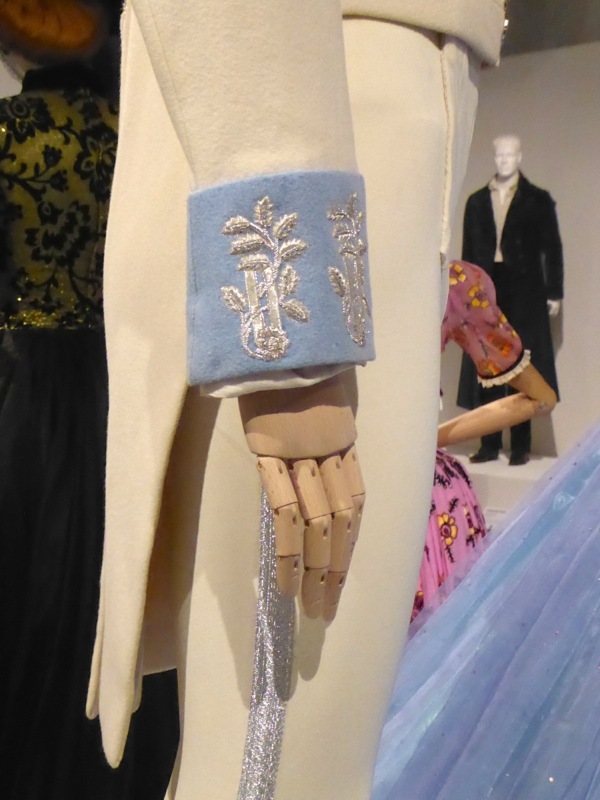 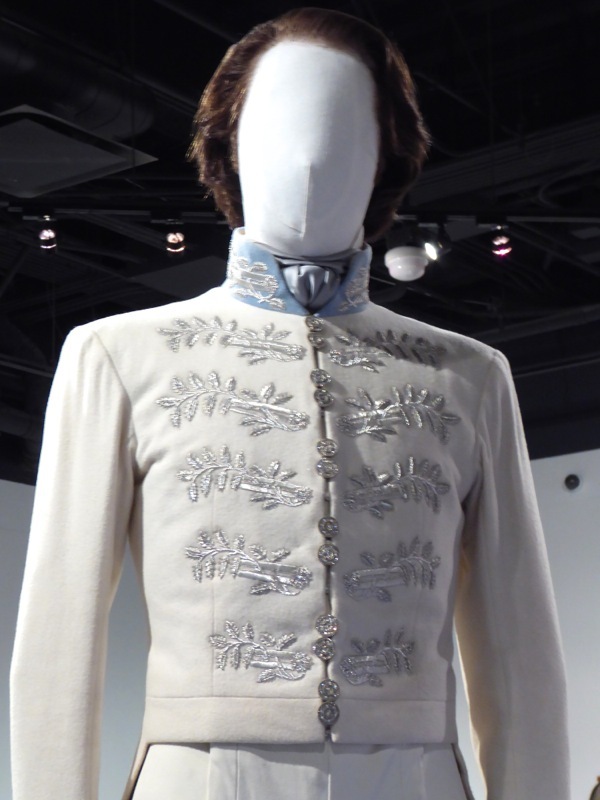 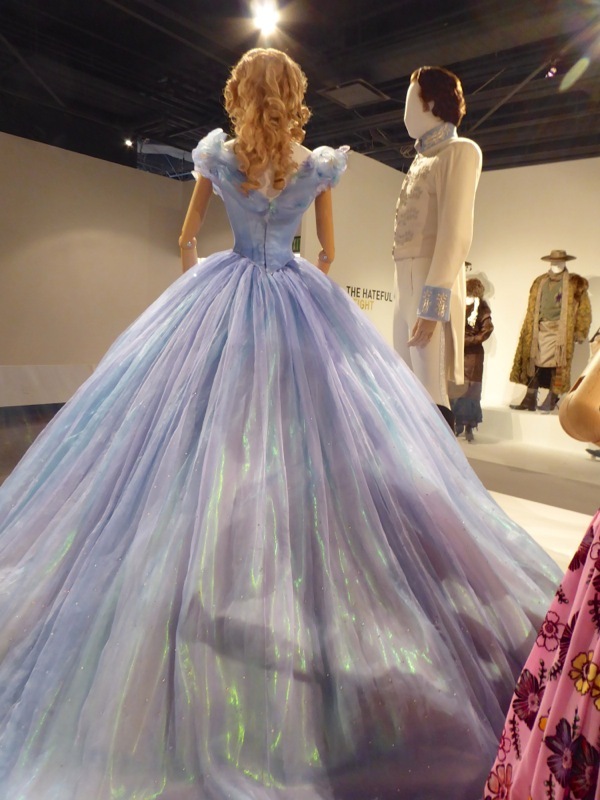 It was so wonderful to see these costumes from all angles out from behind their reflective display cases and under proper lighting so you could appreciate the colours and see all the detail work, from the embroidery on Charming's coat to the butterflies on Cinderella's gown. 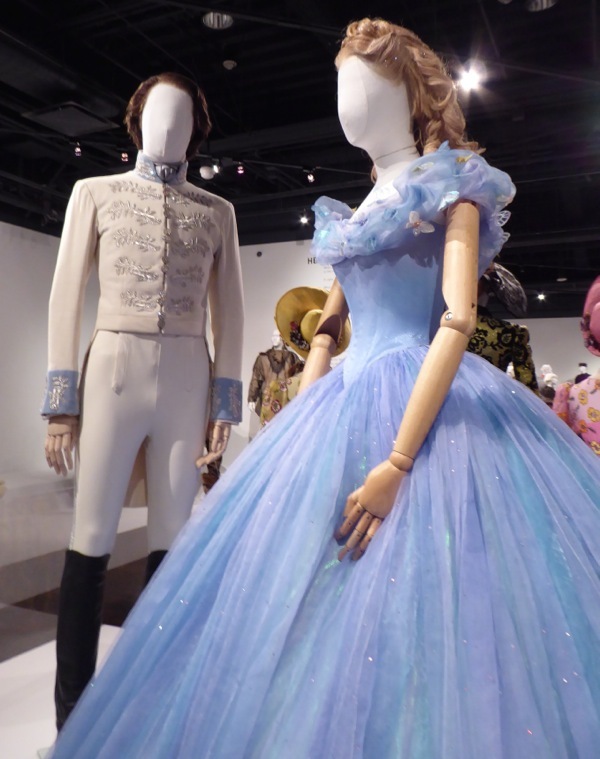 These really are show-stopping, award worthy costumes.